The ankle joint is made up of three bones: the lower end of the tibia (shinbone), the fibula (the small bone of the lower leg) and the talus, the bone that fits into the socket formed by the tibia and the fibula. 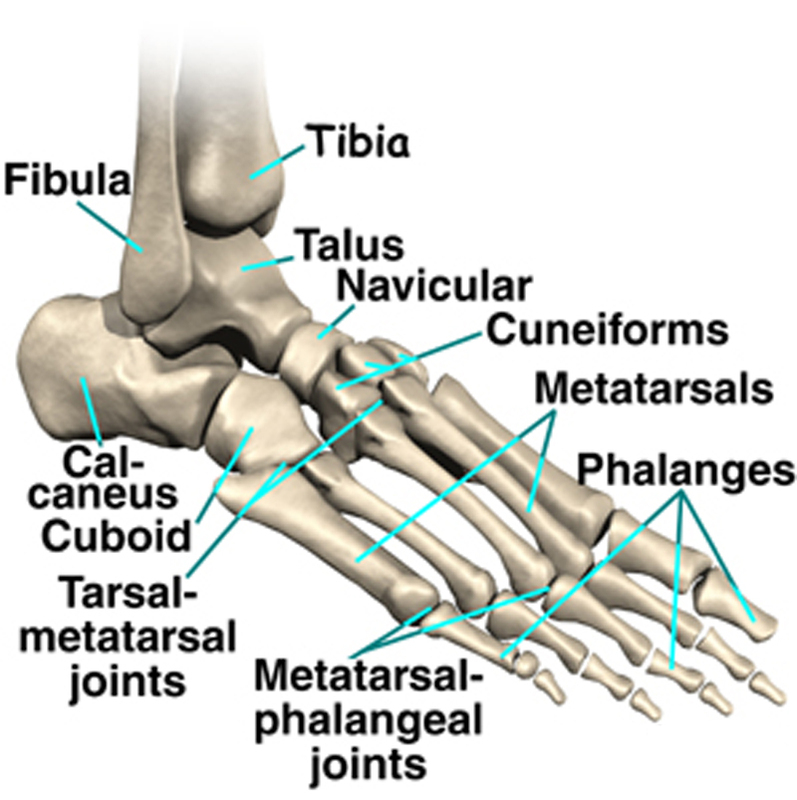 The talus sits on top of the calcaneus (the heel bone). The talus moves mainly in one direction. It works like a hinge to allow your foot to move up (dorsiflexion) and down (plantarflexion). 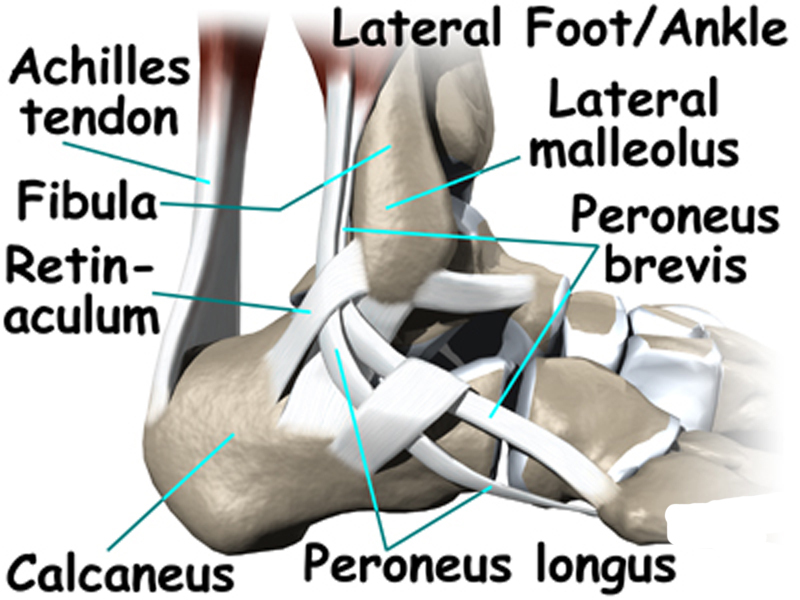 There are ligaments on both sides of the ankle joint that hold the bones together. There are many tendons that cross the ankle to move the ankle and move the toes. Ligaments connect bones to bones while tendons connect muscles to bones. 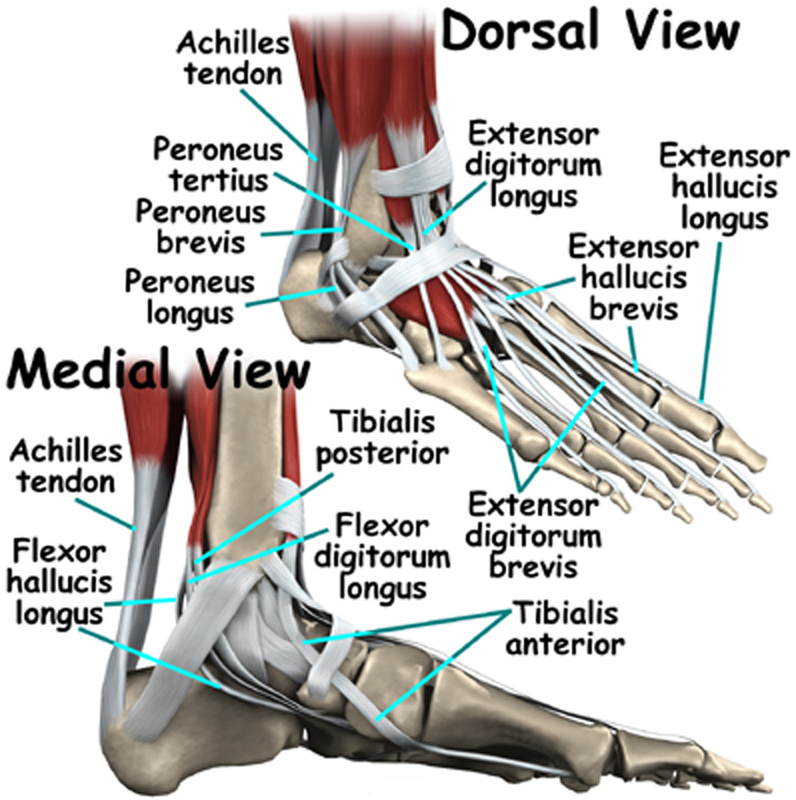 The large Achilles tendon in the back of the ankle is the most powerful tendon in the foot. It connects the calf muscles to the heel bone and gives the foot the power to walk, run and jump. Inside the joint, the bones are covered with a slick, smooth material that is called articular cartilage. Articular cartilage is the material that allows the bones to move against one another in the joints of the body. The cartilage lining is about 1/4 inch thick in most weight-bearing joints such as the ankle, hip or knee. It is soft enough to allow for shock absorption but tough enough to last a lifetime–as long as it is not injured. In the next blog, we shall discuss various ways to strengthen and improve the stability at the ankle joint.